SW Chicago Suburbs Custom Home Builder & Remodeler, Best Of Houzz! Since 1990, we’ve built some of the most beautiful single family homes in Glen Ellyn, Wheaton and the surrounding Chicago suburbs. We'd like to build your home too!! From 2,600 square feet to over 9,500 our homes are custom built by a small group of skilled craftsmen, many of which have worked with us since we began. Each of our homes are custom designed for our customers and the specific building site that they will be constructed on. We carefully select our real estate locations to meet our client's desire for extraordinary new homes in the best locations. We work closely with the Realtor community in selecting our real estate parcels, designing new homes and marketing our product. We work hand in hand with our clients to deliver much more than their dream. M House Development is a Naperville custom home builder that focuses on quality design with fresh, transitional to modern finishes. M House’s reputation for high quality, creativity and attention to detail sets it apart from the rest. Scott Mathieson is the founder of M House. Scott’s passion for homebuilding is apparent in his work and the lasting impression he has on the clients he works with. His open communication and straightforward business approach ensures clients are involved in the building process every step of the way. Throughout his 18+ years of homebuilding experience, Scott and his team have built or remodeled in excess of 3500 single-family homes. M House was born out of love and a passion for good design, to fill a void in the Naperville residential market: a modern home with clean lines and fresh, high-end finishes. Ross Builders is an award winning third generation of family builders providing luxury custom built homes in Chicago's Western Suburbs. We specialize in single family homes built in villages with a community feel and a central downtown like Hinsdale, Clarendon Hills, Western Springs, Downers Grove, and Elmhurst as well as the luxury home communities of Burr Ridge and Oak Brook. Ross Builders acts as a General Contractor and Construction Manager and provides houses built to suit your financial needs and personal tastes. We are a boutique builder constructing a few homes a year instead of "knocking out" dozens of homes in a cookie cutter fashion. This allows us to pay special attention to our customers and personally cater to their wishes. Our goal is to exceed your expectations by providing the highest quality in materials and craftsmanship, by conducting all dealings with openness and honesty, and by building your dream home of enduring beauty and lasting value. We take pride in our luxury homes built with the highest standards specially fit to meet our clients' needs. Our custom home building strives to capture a unique touch, while remaining faithful to the distinguished aura which many builders have abandoned. Our homes will be the foundation of your family's memories for years to come and an investment you can count on in the future. Please call us for the design and building of your custom home. “Building Homes with Integrity" Why choose L. Martinez Construction? Relationship. Quality. Integrity. Relationships. We’re not in the business of building homes. We’re in the business of building homes…your home! We emphasize building relationships of trust with homeowners, understanding what you value, need, and envision in your future home, then working with you to make it possible. Quality. From breaking ground to the finished interior trim, we are committed to providing the highest quality home for each family. We stay abreast of innovative manufacturing and supplying technology and techniques and work with a dedicated team of subcontractors, mostly owner-operated, providing specialized expertise to provide the best possible product. Integrity. We build with structural integrity and we do business with integrity. Our business philosophy is not driven by the bottom line but by building your home with the highest quality and with fiscal, environmental and legal responsibility. MEET THE BUILDER L. Martinez Construction is owned and operated by Lionel Martinez, a life-long resident of DuPage County, who has been working in the home-building industry for 20 years. Residing in Warrenville and actively involved with his family in the community, Lionel and is committed to building lasting relationships of trust with his clients. With a structural engineering background, Lionel gives precision oversight to the home-building process from start to finish. And as a skilled fine woodworker, specializing in custom woodworking and cabinetry, Lionel is dedicated to ensuring the highest quality finished product possible. CUSTOM HOMES No stock floor plans! We have never built the same house twice. When we meet clients, we do not present a set of floor plans to choose from. Instead, we spend time getting to know you—who you are, what you value, and what you envision for your future home—and working together to build a cost-effective home. 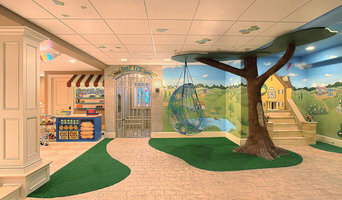 Explore our Photo Gallery to get an idea of the variety of styles and layouts we have created. Gander Builders is a custom home builder in the Chicago area specializing in luxury custom homes and remodeling. It could be said that Steve Lecas was born to build homes. He was born in Burbank, Illinois in 1963 to a father that was an avid construction guy. With a degree in Business Management from Eureka College in hand, he built his first home in Frankfort, Illinois. The quality of craftsmanship in this custom home and more that followed established Gander Builder's reputation as the leading luxury home builder in the Chicago area. We take great pride in our final product, knowing that our firm is committed to taking care of the customer with the utmost respect and responsive services required in today’s quality conscious environment. Gander Builders reputation with area tradesmen, village officials and satisfied customers has earned their respect over the years. We work closely with both the client and the trades, guiding them confidently through the design and building process. We are committed to listening to our customer’s needs and suggestions, along with all ideas brought to us by our subcontractors. This concept has allowed us to grow with the changing times and turn out a finished product that each and every participant in the project is proud of. We would love hearing from you to discuss your project or to answer any questions about our previous work. Established in 2012, Tartan Builders, Inc. (TBI) is a leader in residential and commercial construction in and around the Chicago Western Suburbs. The Hinsdale-based business specializes in both new construction and renovations. 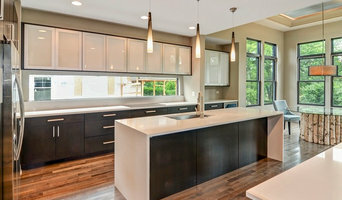 Chicago's SW Suburbs Build & Remodeling Specialist Best of Houzz 3x! Future Focused, High Performance, Luxury Homes Energy efficient builder, building and designing for tomorrow's generation using the utmost standards while utilizing renewable resources. Fischer Homes, is one of Chicago-lands premier luxury building and remodeling specialist. Our approach to home building stresses constant communication and teamwork between client and builder from concept to completion. Our team of professionals ensures your experience is a pleasant process. Our experience, reputation and attention to detail assure that your building expectations will be surpassed. In communities throughout Chicagoland, the Castletown Homes name has emerged as one synonymous with quality, integrity, and value. In our four decades of new home construction, we have consistently delivered on our clients’ desires and expectations. We’re proud of the homes we’ve constructed; we’re proud of the fact that we have paired homeowners with quality communities and first-rate homes; but more, we’re proud that we have helped the dream of home ownership come true for nearly 500 families. Our current projects, including Equestrian Meadows and The Townhomes at Seven Oaks in Lemont, and Prairie Park in Beecher, continue our tradition of service and quality. Aspen Creek Partners Inc. is Naperville's leading residential design-build firm, specializing in new custom homes in Naperville and western DuPage County. The firm designs and builds true custom – one of a kind – homes. Each Aspen Creek home is specifically designed to meet the client's individual preferences and tastes. Because we value the heritage of the communities in which we work, great care is taken to ensure that each new home utilizes the building site appropriately and blends in tastefully with the surrounding neighborhood. Aspen Creek custom homes are distinctive because of the high level of attention given to both the functionality of the floor plans and exterior designs that produce a home with indisputable curb appeal. Our motto … "Classic American Homes" … reflects the firm's strong preference for tasteful exterior designs that have and will continue to stand the test of time, and which reflect the traditional tastes and values of our clients. Inside our homes, floor plans are carefully crafted to fit the lifestyle and needs of each client and their family, while at the same time insuring that all rooms relate well to each other. Our team of experienced craftsmen is well known for their broad range of skills and creativity, and produce homes that are recognized as the pinnacle of quality in downtown Naperville custom homes. Old Towne Custom Builders, Inc.
At Newgard, we are committed to creating a new type of luxury residential construction company. We are a boutique luxury home builder. We choose to focus on a handful of projects at a time, giving us the opportunity to stay actively and personally involved in each project. Through every step of the process, we work directly with clients, architects, interior designers – ensuring that every detail is carefully planned and constructed in a clean, efficient, beautiful and cost efficient manner. We listen and transform your vision into the home that you will cherish for years to come. Our focus is on the needs of your family and the requirements of your lifestyle. We put our clients first. Our goal is to build a long lasting relationship with you by translating your ideas into a beautiful home that expresses your personality and style. Tired of cookie-cutter looks and unresponsive contractors? Ditching the status quo, 5th Avenue Construction has emerged as one of Chicagoland’s most dynamic and trusted residential construction firms. The Naperville-based boutique homebuilder, which specializes in new custom home projects, holds an unrelenting focus on contemporary design, expert craftsmanship, and optimal transparency. The 5th Avenue team embraces creativity and communication throughout the homebuilding process, including: •An on-staff architect and designer working with every custom home client •Experienced craftsmen who honor industry best practices and respect each client’s investment •Open and ongoing communication highlighted by innovative online software that allows homebuyers to make selections, review expenses, change orders, view progress photos, and pose questions to the 5th Avenue team day and night A new home built in your image is closer than you think. To schedule your FREE new home consultation or to visit 5th Avenue’s modern showroom in downtown Naperville, please contact us. Battaglia Homes is an award-winning luxury custom home builder in Hinsdale and the surrounding western suburbs of Chicago. Known for crafting beautifully appointed residences with timeless designs, Battaglia Homes has a reputation for excellence and is renowned for working with each client to design and construct the home of their dreams. With a passion for quality, each custom home is built with the highest level of detailed craftsmanship, custom crafted amenities and culminates into a timeless work of architectural art. A relationship with Battaglia Homes begins well before construction and extends long past the completion of your new home. For Lisle residential home builders who also act as developers, the job starts well before the first nail is driven. They perform local market research to determine whether the prospective homesites make sense in the Lisle, IL market, as well as survey the land on which the house will be built to make sure it is suitable for construction. Custom builders also obtain the necessary permits. 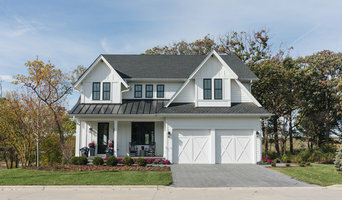 A good custom home builder in Lisle, IL has skills that go far beyond construction — he or she must supervise subcontractors and artisans; keep tabs on local zoning regulations, building codes and other legalities; inspect work for problems along the way; and perform dozens of other roles that are essential in building a quality house. Here are some related professionals and vendors to complement the work of home builders: Interior Designers & Decorators, Landscape Architects & Landscape Designers, Architects & Building Designers, Kitchen & Bath Designers, Specialty Contractors. House builders are responsible for ensuring that the home-building project sticks as closely as possible to the specified timetable, particularly in the event of change orders. Custom and luxury home builders in Lisle, IL also need interpersonal skills to deal with clients of all types, soothe frazzled nerves, negotiate conflicts and resolve problems. Find custom home builders in Lisle, IL on Houzz. Narrow your search in the Professionals section of the website to Lisle, IL home builders. You can also look through Lisle, IL photos to find a house you like, then contact the builder who worked on it.